There were high expectations from Mark Wood when he was bought by CSK at the auction for a hefty amount of 1.5 Cr. Wood was a regular member of the England limited-overs squad then and was a highly rated new ball bowler. 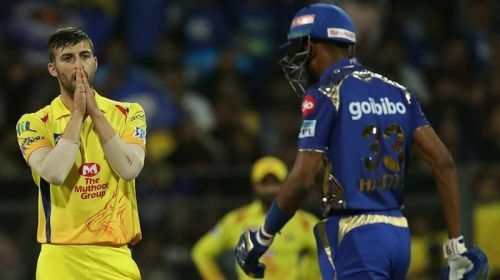 Wood was given the opportunity to play by CSK in their opening match of the season. The Englishman looked a little rusty and gave away 49 runs in his quota of 4 overs. Wood was dropped in the next match and did not find a place in the playing XI for the next nine matches. Because of the lack of playing opportunities, Wood decided to head back to England and play for Durham in a bid to find a place in England's Test side. The pacer hasn't been able to cement a place in his national side and is expected to be axed by CSK before the auction.